Painted photograph from the 6-piece series 'Hacia el mar' (Towards the sea). Local women from Romania merge with their environment through the rivers Argeș, Ialomița, Jiu, Olt, Nera and Cerna, all of them tributaries of the old and, somehow mythical, Danube, a river venerated by the old geto-thracian civilizations surrounded by rituals, practices and beliefs, some of them of universal nature and yet connected with ancient cultures. 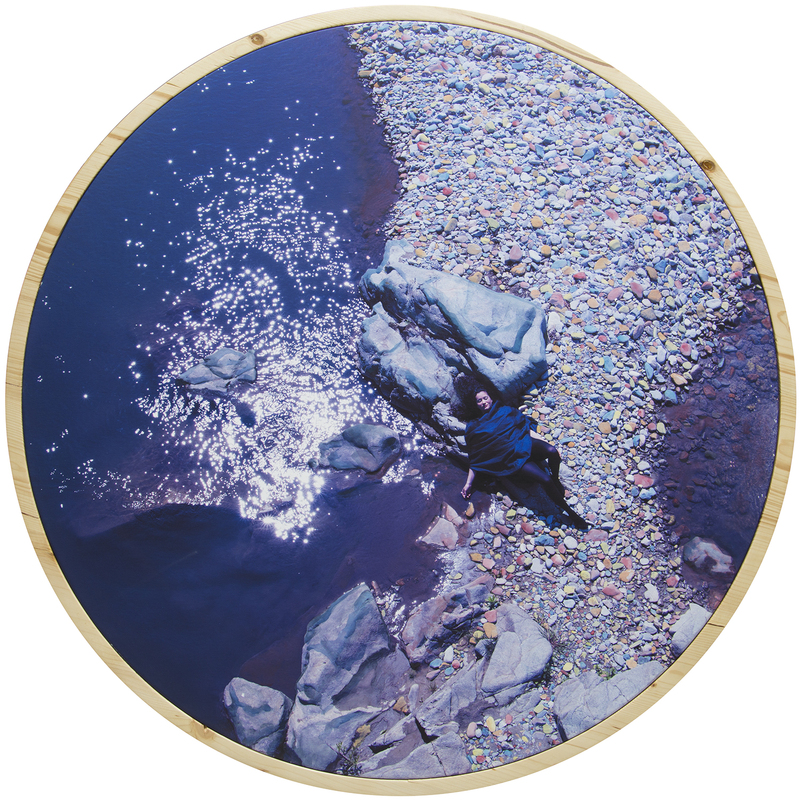 The work is bonded together with a poem* that conveys the experiences lived while shooting at the rivers. It expresses the inner feelings as well as those related to the surroundings, connecting oneself with the four elements of nature. This work was exhibited at Instituto Cervantes Bucharest in an installation that created a sensorial space which invited the visitors to explore their own relationship with water and, at the same time, to reflect upon the environmental reality which we are nowadays living in. El Sol clava su mirada sobre mí. Marca la mañana en mi boca. Sella la inmensidad en mis párpados. las estrellas que desvelas en mí. que me columpian mientras me alejo. Me sumerjo en la profundidad oculta. Me hundo en la roca fecunda. el sabor traslúcido que revelas en mí.